After an awesome spell of weather over the holiday period, the past couple of weeks have been a bit blowy to say the least not to mention the huge swell pushed in by cyclone Ola last week. Its not all bad news however!!! It has given our reefs a much earned rest and the stir up will attract bait schools to the area to feed on the plankton and vegetation pulled from the sand and washed out of our rivers and bays. And we all know where there is bait there are big fish! We look forward for this next two week period of fishing over the new moon phase. We did manage to get out for a fish in the window of good weather on Sunday and Monday and both days fished really well. Sunday was a full day and we fished the southern end of the barwon banks for the bottom dwelling species. There was plenty of action – lots of rosy jobfish in the 2-3kg range, a great eating fish, as well as plenty of fusilier, tusk fish to 3kg, and decent pearl perch to 2kg. Also boated were big maori cod, gold spot wrasse, moses perch and hussar. Nothing massive but a big mixed bag of great eating reefies. Everyone onboard was kept very busy and extremely happy. The photo is of a 3kg rosy jobfish and a 4kg maori cod. Good work Aaron! Monday we had a half day trip to murphys reef. 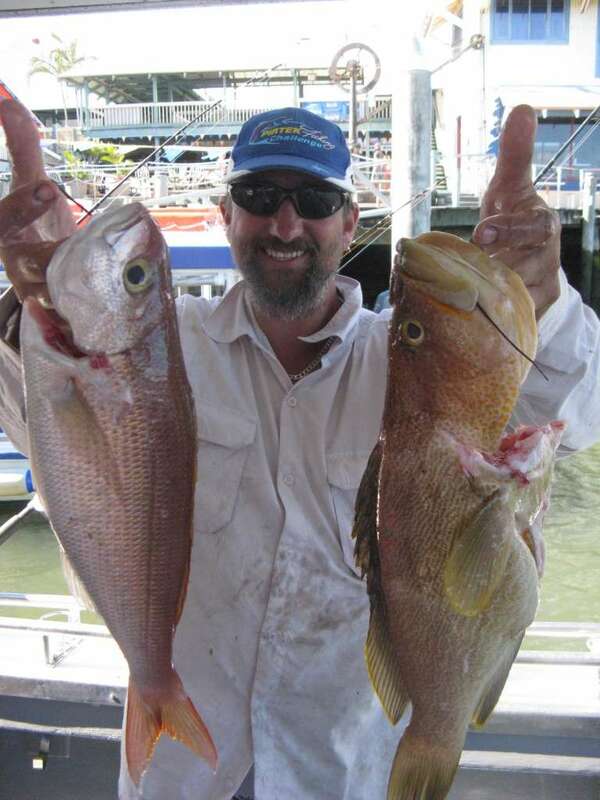 It didn’t disappoint either, the punters got into some nice grassy sweetlip to 3kg, heaps of moses perch and king fish to 4kg and a few squire and hussar off the bottom. A couple of 5kg spotted mackerel from the surface topped of the trip nicely. A quick but exciting trip and getting it all done before the weather picked up again in the afternoon. 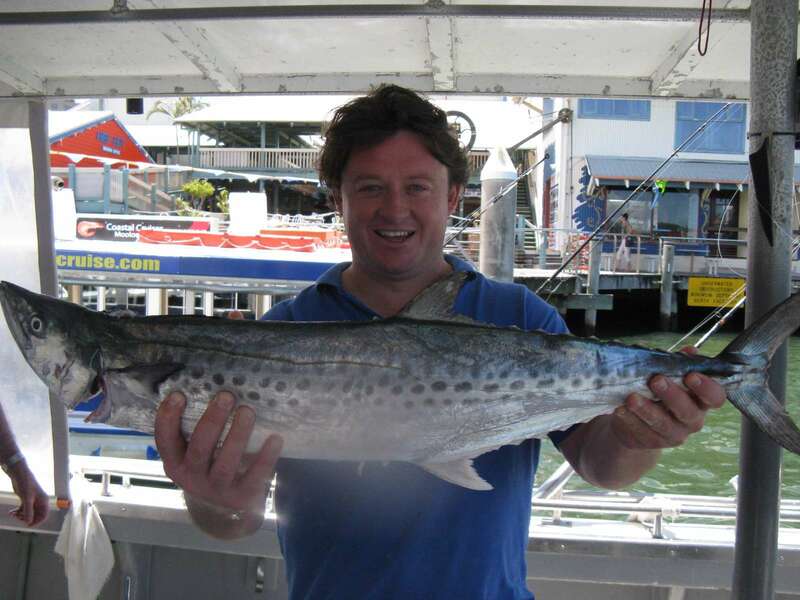 The picture below is Steve holding a 5kg spotted mackerel. Well done mate!